Yahoo Mail is now fully HTTPS. This is how to turn it on. 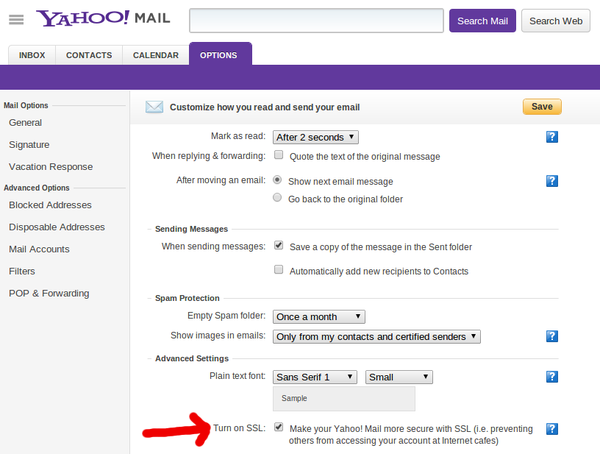 Good news to loyal Yahoo Mail users like me, as of 2013 you can have full HTTPS session when using Yahoo Mail. Some would argue that Gmail has it implemented since the day it was launched years ago. Anyway, it's still a good news to us. Yahoo is doing all the right things after they recruited their new CEO Marissa Mayer from Google. 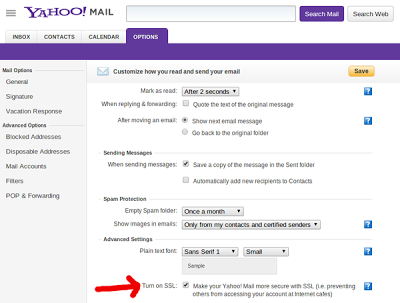 In case you missed it, the recently updated Yahoo Mail interface is also better, faster and simpler to use.